Ryan and I have just gotten home from our road trip through part of England and Scotland. It was a long drive but I’m happy we did it instead of using public transport, we came across some picturesque towns and villages. Our holiday started with a 6 and a half hour drive up the Fosseway, an old Roman road connecting Exeter to Lincoln . According to our Google Map route we drove 14 hours and 40 minutes on our way up to Scotland! Our first destination was the small seaside village of Alnmouth, Northumberland. 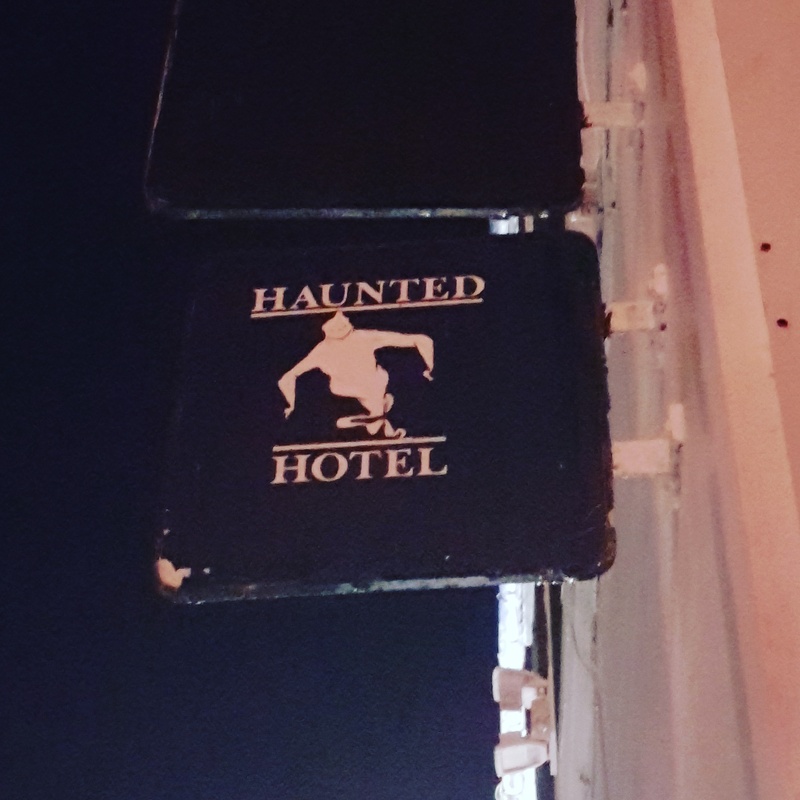 We booked a room for the night in the Schooner Hotel which, unbeknownst to us is one of the most haunted hotels in Britain! Ryan was not happy once we’d discovered this fact but thankfully we weren’t sleeping in one of the known haunted rooms. They were on the other side of the hotel. There was no parking at the Schooner Hotel but plenty of free street parking throughout the village. The hotel itself was nice but the decor could do we some modernisation. I did like the feature fire place however. We had dinner in the nearby ‘Sun Inn’ which was delicious. I especially loved my brownie flapjack. I had a good night’s sleep even after realising the hotel is supposedly hanuted. We didn’t see or hear any paranormal activity, fortunately. We had a lovely sea view from our window which I snapped a photo of before we headed to breakfast. Breakfast was served in a small dining room, you could help yourself to cereals and hot and cold drinks and chose hot food from a set menu. I was impressed they had a range of hot food available including scrambled egg on toast and of course a traditional English. However I was less impressed that they didn’t offer soya milk. We chose Alnmouth due to its close proximity to Alnwick. 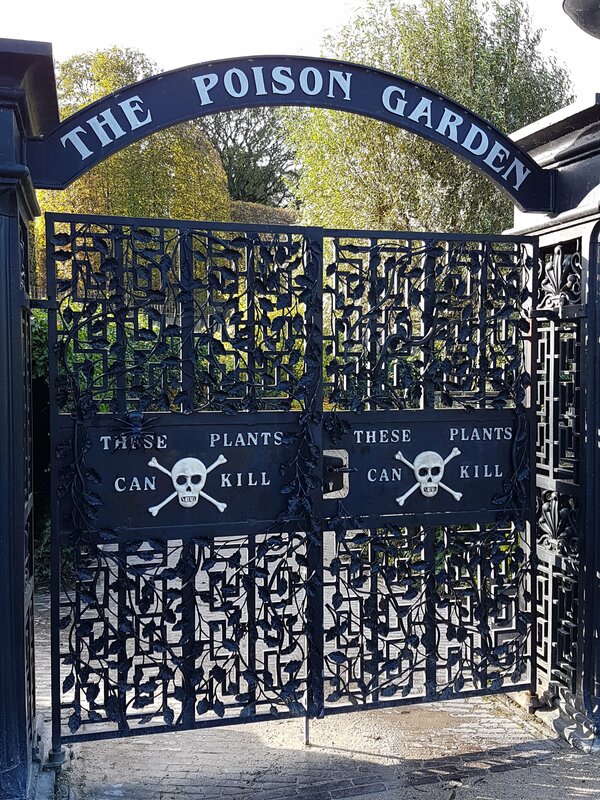 The poison garden has been on my UK travel list for a while and I jumped at the chance to visit on our way up to Scotland. As we were limited on time, we started with the poison garden and managed to get the last two places for the first tour. The next available tour was late afternoon so we were very lucky! Our tour guide was very knowledgeable about the plants and told us stories of how the plants had been used in fiction and how they can kill you. Some were hallucinogens and some only harmful in large doses. I was surprised that some garden plants can be deadly and that rosemary oil can cause miscarriages. The Alnwick Gardens had been decorated for Halloween, which added to the ambience. The grounds were beautifully laid out with many water features, a wishing well and a hedge maze. While walking through the gardens we discovered a miniature golf course. Unfortunately we didn’t have chance to play as we needed to get back on the road to Scotland but have made a note to come back again. We had a light lunch in their cafe, sandwiches and indulged in a cake each before heading to the castle. 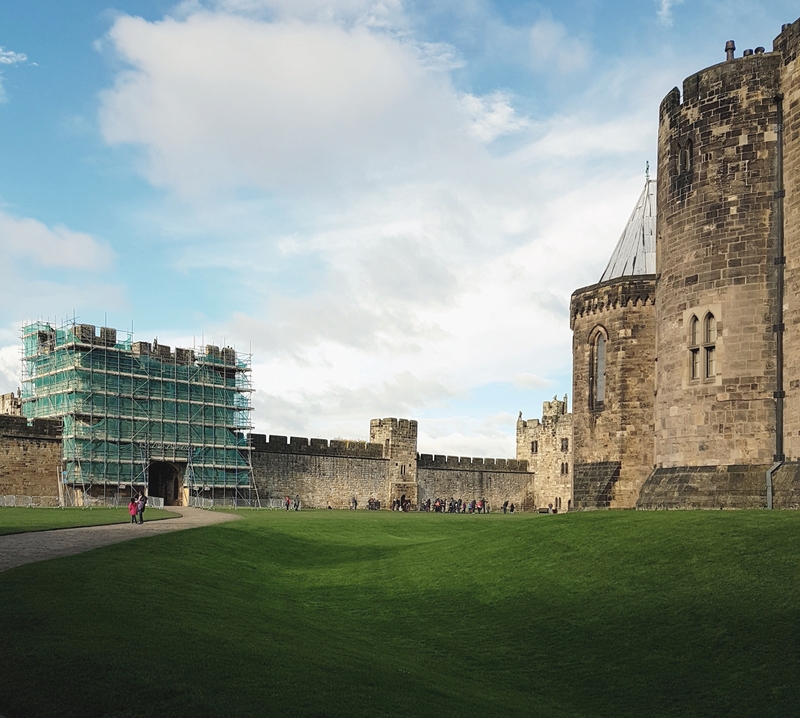 Alnwick Castle is one of the most beautiful castles I’ve visited in the UK so far and had a lot on offer for visitors, from broom stick training to dragon slaying and a tour of the state rooms. If you didn’t know some of the exterior shots from the first two Harry Potter films including broom training were filmed at the castle. I wish we could have had more time in Alnwick and Northumberland county but there’s always next time. 🙂 I would love to see Hadrians Wall. Keep an eye out for part two of our trip – our 3 days in Edinburgh. Oh my goodness this trip looks beautiful 😍 I would love to visit England and Scottland. I’m from the States and I’ve never ventured away. But you can guarantee Alnwick Castle is on my top sights to see 😊 Thank you for sharing and I can’t wait to read more!